The Titanic sank about 105 years ago and to this point less than 200 people have ever visited it. … Maybe this is your chance? Blue Marble Private, a luxury travel company is offering the extraordinary opportunity for a select few to experience the most famous shipwreck in history. Blue Marble points out that more people have been to space and climbed Mt. Everest than have visited the Titanic. So, they are offering, beginning in 2018, 8 day missions lead by OceanGate Expeditions for 9 adventurers at a time from Newfoundland, Canada to a deep ocean discovery tour of the Titanic. The company is working to be the first to take tourists down to the Titanic site. The Titanic sank in 1912 and now lies at a depth of 12,800 feet below the surface of the Atlantic Ocean. If you are not scared away by the price.. of about $105k this could be the diving excursion of a lifetime. Tourists joining the 2018 expedition will get a helicopter or seaplane flight from St. John’s in Newfoundland to the expedition support yacht above the wreck. They’ll spend three days learning about the ship’s workings, and how to operate the sonar and underwater navigation systems. The tourists will help the expedition team with during the dives. There will be three potential days of diving, conducted day and night for three passengers at a time. The descent time will be approximately 90 minutes and dive time will be three hours. Divers can expect to explore different regions of the wreck, including the deck, bow, grand staircase cavern and an extensive debris field. 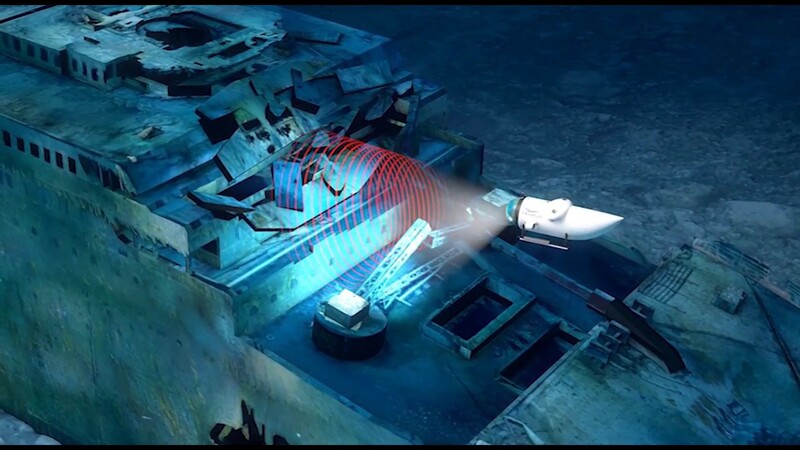 Blue Marble Private’s founder Elizabeth Ellis stated the submersible crew may conduct 3D- and 2D-sonar scans or searches for the ship’s boilers, propellers and other landmarks during the dives. The Titanic lies in two main pieces, around 1900 feet (600 m) apart, with the bow in good condition. The stern disintegrated during impact with the seabed in April 1912, and the midships lies as scattered pieces on the seabed. The debris field of hundreds of thousands of artifacts covers an area of 3 by 5 miles (4.8 8 km). It includes passengers’ personal effects, machinery and furniture. Another luxury travel company, Bluefish, is also taking reservations for expeditions to the Titanic with a similar itinerary as well. Their price point us much cheaper at around $59k which includes an 11-12 hr dive on the Titanic.